CREEPER ATTACK! CREEPER ATTACK! CREEPER ATTACK! CREEPER ATTACK! CREEPER ATTACK! INSTA-KILL! INSTA-KILL! INSTA-KILL! INSTA-KILL! INSTA-KILL! INSTA-KILL! INSTA-KILL! INSTA-KILL! Comments : MINECRAFT IS THE BEST GAME EVER! NOTCH RULES! NOTCH RULES! NOTCH RULES! 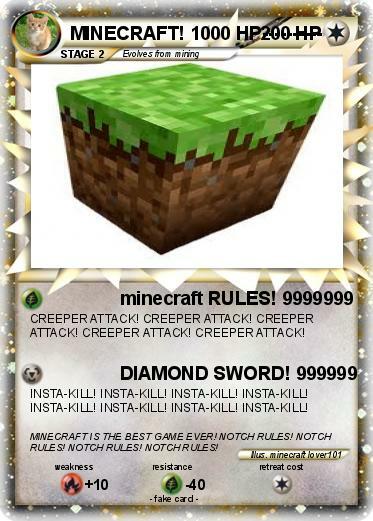 NOTCH RULES!